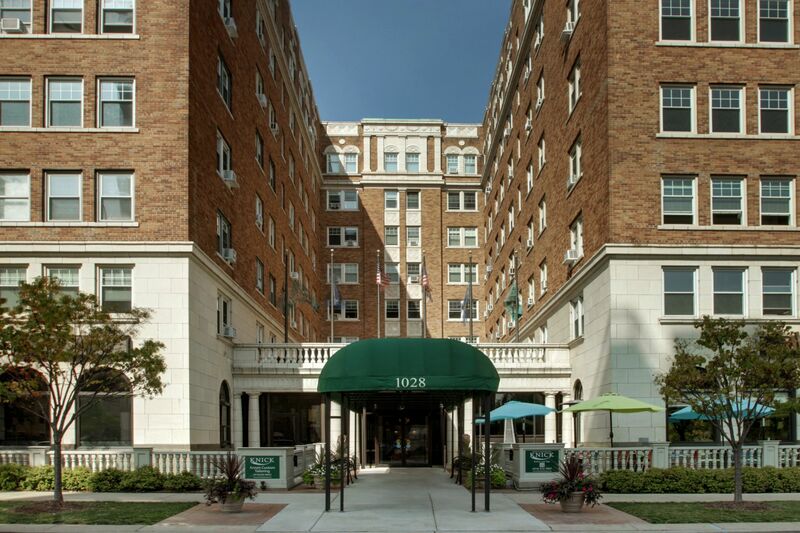 Explore the best of Milwaukee when you stay at Knickerbocker on the Lake. A deluxe room with one queen bed or one king bed. 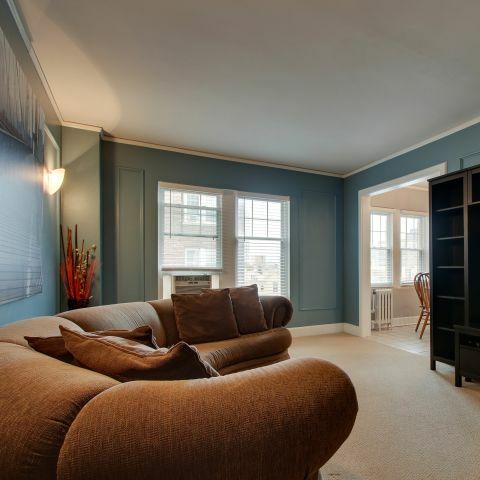 Complimentary high-speed Internet, kitchenette, stove, and more. 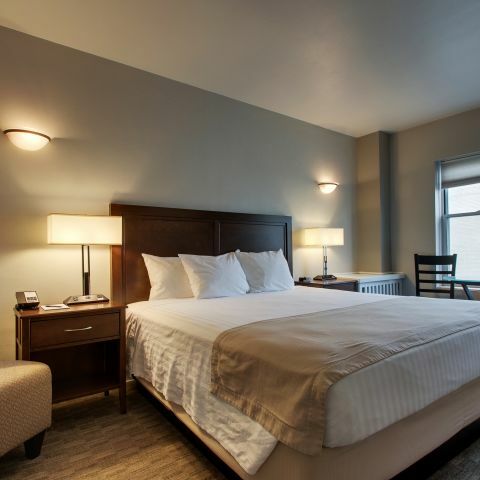 Reserve one of our Lakeview Suites to experience sweeping views of Milwaukee’s downtown and the Lake Michigan shoreline. 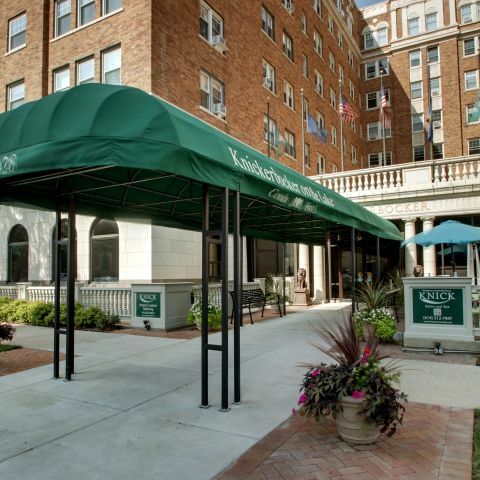 Upscale dining meets a casual atmosphere at The Knick Restaurant, tucked away inside our Milwaukee hotel. 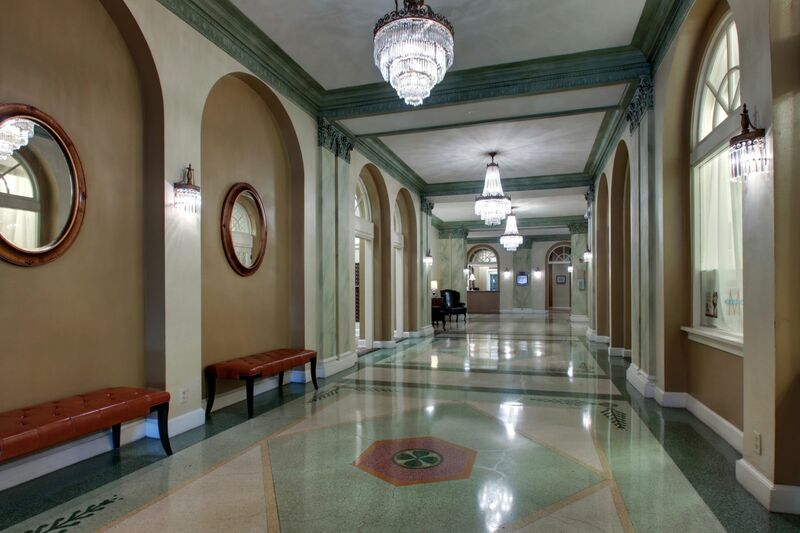 Situated in the lobby of the hotel, the Knick Salon and Spa offers rejuvenating services and treatments to help you unwind. 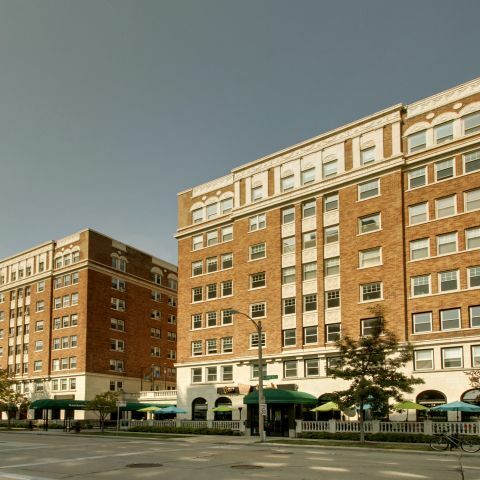 Located right on the beautiful shores of Lake Michigan, the Knickerbocker on the Lake offers distinctive downtown Milwaukee accommodations in an ideal location. Retaining much of its original historical charm, our hotel features all the amenities needed for a restful stay with details that make staying at the Knickerbocker a one-of-a-kind experience. 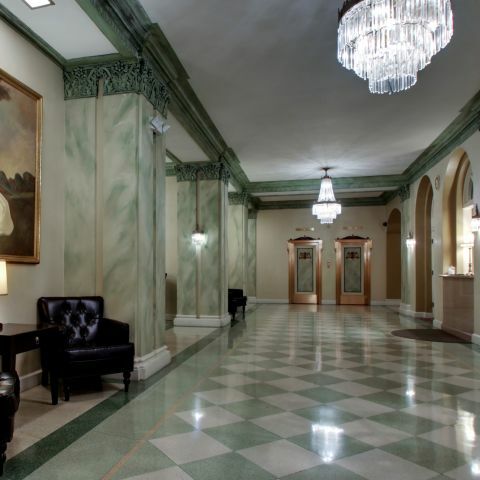 Whether you’re visiting for the weekend, an extended stay, or traveling for business or leisure, our Milwaukee hotel provides the perfect accommodations able to suit a wide variety of travel needs. 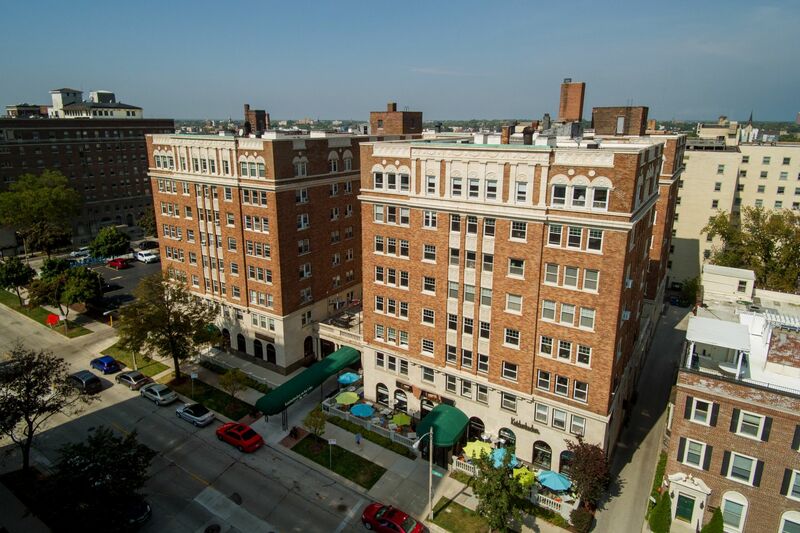 This hotel is stunning from the grand entrance to the room and it is within walking distance (if you like to walk up to a mile) of Brady Street and Lakeside Brewery. The staff were friendly and room was clean. My daughter and I enjoyed a delicious Sunday brunch. fresh berries on french toast were delicious. Fruit smoothie is really good. The Knickerbocker has a nice relaxing ambiance. The location is near Lake Michigan in downtown Milwaukee. Indoor meeting space for moderate size events ranging from small-mid size corporate meetings to weddings and social events. Explore all of the best things to do in Milwaukee using our curated list of the top attractions and events happening near our hotel. Join us daily for a delicious lunch or dinner with a wide variety of menu options suitable for even the pickiest of palates. Our talented team of stylists, aestheticians, and massage therapists are proud to provide relaxing and luxury services, all with environmentally conscious products.